Kiln The law is clear. The United States Supreme Court held in Bearden v. Georgia thirty years ago in 1983 that probation cannot be canceled nor can jail time be given, because a defendant is too poor to pay a fine. Yet, increasingly in these times when the shrinking of the state greets us coldly at every turn with more charges, fees, and penalties, partially to offset their decreasing tax revenues and partially to transfer the costs of the system itself unto its participants and away from the public, we seem to have allowed something akin to debtors’ prisons or a class of lower income peoples bound on a tight lease to a complex and increasingly privatized injustice system. At the heart of the story is an Alabama woman named Harriet Cleveland, a minimum wage worker at a daycare center and a single mother of three. She lived almost 5 miles from the job so getting there was a hike, unless she drove. Driving though was increasingly out of the question because of a ticket she had gotten while driving without insurance and, once she lost her license, driving without a license. 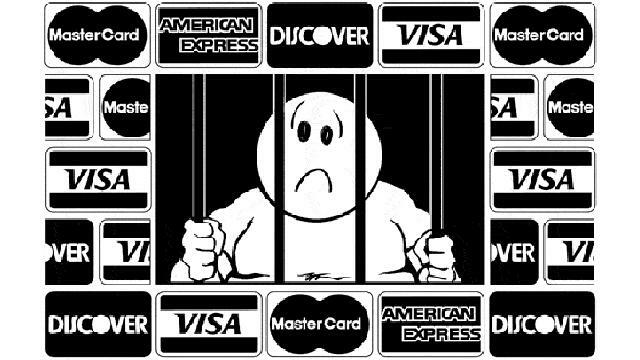 Unable to pay her fines, a judge “sentenced her to two years of probation with Judicial Correction Services, a for-profit company….” The get-out-of-jail card came with predatory pricing: “…she would owe J.C.S. the sum of two hundred dollars a month, with forty of it going toward a ‘supervision’ fee.” It’s easy to see the impossibility of the situation. If she was getting 40-hours a week, and that’s not the case for many of these kinds of jobs, her gross pay would be $15080 per year with her net after taxes obviously much lower. But even assuming she turns over her tax refund to J.C.S., which she did, that would have been 16% of her annual pay. We have to ask immediately how could any fair-minded judge not immediately have seen that these terms were unaffordable and contrary to Bearden v. Georgia? Well, they couldn’t have, but as Stillman documents, many of these judges and the criminal injustice system they represent have a conflict of interest since they are depending on this kind of extortion to fund their own operations. This is not just a Southern problem, but a lower income problem. For example, the USA Today ran a story not long ago stating that the average number of drivers rolling without insurance nationally was 14%. Southern states have poorer people so many of their citizens were leading the list: Alabama 22%, Florida 24%, Kentucky 18%, Mississippi 28%, and Tennessee 24%. But, poverty is national in the United States and there are lots of places where driving is a necessity, so states like Michigan have 19% driving without a license, New Mexico 26%, Oklahoma 24%, Rhode Island 18%, and even Washington 16%. In the meantime, judges are allowing poor people to be puppets on a string for profiteers in violation of higher court decisions, and simple decency judged by any fair standard in assigning punishments that might fit the crime. This entry was posted in Citizen Wealth, Financial Justice and tagged debtors' prisons, poverty, Working poor by Wade. Bookmark the permalink.